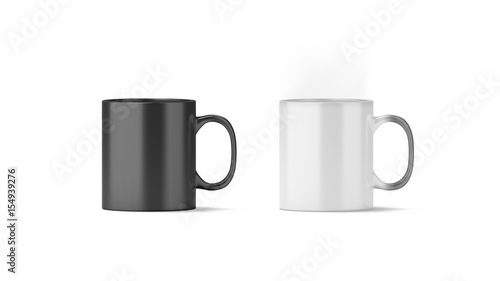 Blank magic mug mockup isolated, cold and hot state, 3d rendering. Magical heat sensitive cup mock up. Color changing beverage utensil template. Morphing ceramic drink with thermoprint empty space.